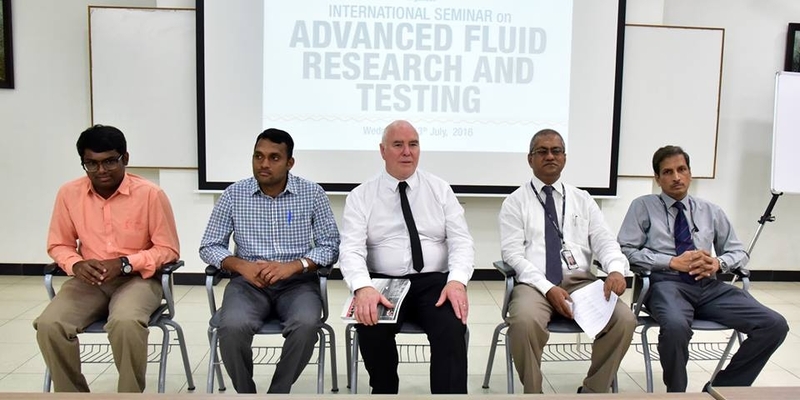 Department of Aeronautical and Automobile Engineering of KCT conducted a “INTERNATIONAL SEMINAR ON ADVANCED FLUID RESEARCH AND TESTING\", @ KCT on July 13, 2016. Mr. Graeme Harris, Lecturer in Mechanical Engineering from Ara Institute of ‪#‎Canterbury‬, ‪#‎Christchurch‬, New Zealand had given a lecture about Fluid Mechanics Teaching in New Zealand and wind tunnel testing. Mr. R.V. Ramkumar, Senior Scientist from CABS, DRDO, Bangalore & Mr. Veera Manikandan, Senior CFD Analyst, Fiat Chrysler Automobile, Chennai were the guest present at the seminar and addressed.